The ever-outspoken Wendy Williams joins Larry in New York to dish on everything from the recent Kim & Kanye drama to her thoughts on Trump's run for the White House. 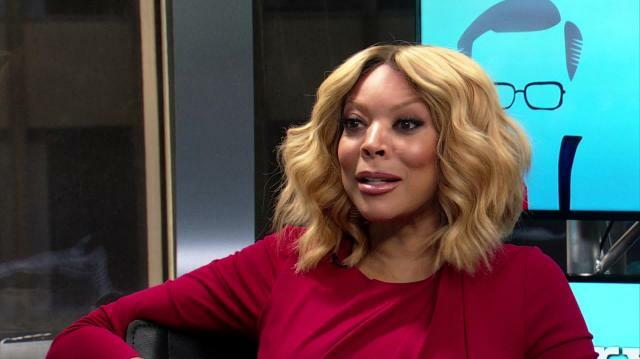 Plus, Wendy discloses what famous face of yesteryear she wishes she could have interviewed on 'The Wendy Williams Show'. “Because there’s other stuff on daytime tv that’s easier and cheaper to produce. You know. Court shows cost nothing. Talk shows cost more. A successful talk show costs quite a bit and people are fickle. The audience, whether it’s daytime tv or nighttime tv, people are fickle.” - Wendy Williams on the difficulties of daytime television. “It was a bit of a transition and I’m going to tell you why. First of all, on the radio, I always had a four hour shift or a five hour shift and my breaks were mine to dictate. I could talk as long as I wanted, go into a commercial and come back. This tv thing, you got a seven minute segment with somebody interesting like— you’ve been on the show. If I have more to say and we go to eight or nine minutes, we get cut off by a paper towel commercial. So that right there, pay very close attention my floor manager. Also, the idea of watching the monitors. In radio, you’re not watching anything. On tv I’m like ‘Oh my gosh, sit up straight,’ ‘Oh my gosh stop slouching,’ ‘Oh my gosh, I hate this dress.’” - Wendy Williams on differences between radio and tv. “I’m soft on politics, Larry, because I think that politics are very divisive. I speak about them with much trepidation…I don’t even know who I’m going to vote for Larry, and that’s all I’m going to say. What a mess. What a mess!” - Wendy Williams on discussing politics. “I mean, Donald Trump. Great guy off the political trail. Hillary- just because she’s a woman doesn’t mean I have to vote for her. Bernie Sanders- is he going to make it to the election? That’s a bad seventy four, Larry.” - Wendy Williams on the presidential election. “I would like to believe that he’s not racist and that he’s just sometimes less than thoughtful about other people when he speaks. He’s been on our show several times. I do enjoy celebrity apprentice. My heart is aching because now they have Arnold Schwarzenegger hosting it because Trump is campaigning. I wish he’d get off the campaign trail and get back in that boardroom.” - Wendy Williams on Donald Trump. “Most recently, Jerry O’Connell. You know him. He’s married to Rebecca. Such a funny man. He was so engaging. He knew his hot topics. He went in the audience and danced with my people. He was very fun.” - Wendy Williams on her favorite interview. “People who want me to do my show with no wig. I hate that. I’m not reducing myself to that particular cheap trick. And no make-up! ‘When are you going to do a show with no wig? We want to see your natural hair!’ Well I wear wigs because I have thyroid disease, first of all. Thyroid disease thins your hair, Larry. Do you understand? It thins your hair in a lot of cases and thins the outer corners of your eyebrows and it also gives you a scary stare, so I have to make a concerted effort not to look at you like psycho.” - Wendy Williams on her pet peeve and the symptoms of thyroid disease. “You’re going to laugh but this is real. When you start becoming sexually active, always put on something after the deed is done because people are very sneaky these days. He pulls the covers back ever so gently, takes a camera phone picture of you, and puts it on social media…Come on now, Larry. It’s going down out here in these streets. People do vindictive things. People do horrible things. I mean, back in the day it was roofies in a drink. These days those camera phones are wicked. One wrong picture.” - Wendy William’s advice for women under the age of 18.